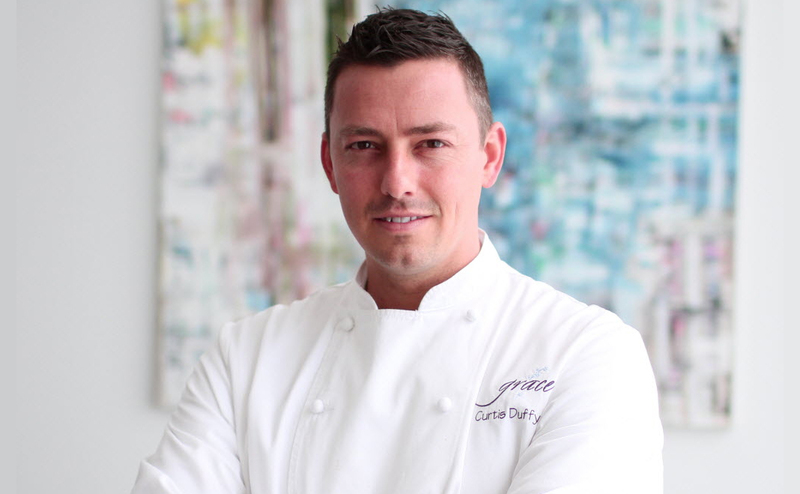 We welcome Chef/Owner Curtis Duffy of Michelin two-star Grace Restaurant in Chicago. In 2013, Zagat named Grace one of the "10 Hottest Restaurants in the World." Serving as Chef de Cuisine of Alinea, Duffy's career skyrocketed after the restaurant was awarded the title "Best Restaurant in America" of 2005 by Gourmet. In 2008 at Avenues, he received two-stars from the prestigious Michelin Guide. In 2010, to mark the 20th anniversary of the James Beard Awards, Duffy was named a "Legacy Chef." The menu will be paired with wines from Darioush Winery. In attendance will be owner Darioush Khaledi. His wines have consistently placed in Wine Spectator's coveted list of "Top 100 Wines."